Federal appeals court judges on Tuesday reviewed the reach of racketeering laws, chewed over case law and opined over olfactory issues in a case that threatens to stamp out Colorado’s recreational marijuana industry. A three-judge panel for the 10th U.S. Circuit Court of Appeals in Denver took oral arguments in a consolidated case that claims Colorado’s recreational cannabis laws fly in the face of federal controlled substances and racketeering laws. The states of Nebraska and Oklahoma joined the dispute after the U.S. Supreme Court declined to hear their case. The appeals also included a lawsuit from county sheriffs and another from a Pueblo horse ranch. The plaintiffs’ challenges were among several raised in and after 2014, when Colorado’s first-of-its-kind foray into regulated sales of cannabis didn’t sit well with all, especially neighboring states concerned about federally illicit substances spilling over their borders. Those complaints and the Nebraska-Oklahoma suit were eventually struck down. On Tuesday morning, in a crowded, small, upstairs courtroom at the Byron White U.S. Courthouse in downtown Denver, attorneys and judges reviewed the reach of RICO and other federal acts and the impacts of marijuana cultivation on nearby properties. Buck said his confidence about the outcome waned after judges appeared to align with plaintiffs’ arguments that the wafting smell of federally illegal marijuana from the Pueblo cultivation facility to neighboring properties such as the horse ranch damaged property values. The impact of the greenhouse construction on sight lines from the property also was cited. “(If this case were remanded to district court), it would effectively open the floodgates for every single dispensary and every single cultivation facility to be sued under federal court for RICO,” Buck said. The Racketeer Influenced and Corrupt Organizations Act, oft-used in the implication of crime families and fraudulent financiers, also allows for private individuals to sue “racketeers” who allegedly damaged a business or property — in this case, property values. With RICO at the heart of its complaint, the entity backing the Pueblo County horse ranch also argued that the federal prohibition of marijuana overrides state law. “Colorado is authorizing violation of the (U.S. Controlled Substances Act) through this licensing regime,” Brian W. Barnes, an attorney for plaintiff Safe Streets Alliance, told the judges Tuesday. Safe Streets, a Washington, D.C.-based anti-drug and anti-crime organization, took up the cause of the southern Colorado horse ranchers. Asked by Judge Harris J. Hartz as to whether a change in enforcement policy on the federal level, perhaps from a new U.S. attorney general, would solve his concerns, Barnes said he would welcome such a change but added it would be a “bank-shot” enforcement action against a third party and would not get at the heart of the state laws that stand in opposition to federal laws. Hartz later questioned Barnes on the need for more enforcement beyond the mechanisms already in place through federal law or actions such as the 2013 Cole Memo that set guidelines for federal prosecutors in states with legalized marijuana. State laws regulating the sale of marijuana, Hartz noted, could in effect be a means of enforcement. “How do you decide where to draw the line of authorizing and limiting pot and encouraging it?” Hartz asked. Matthew Grove, assistant attorney general for the state of Colorado, said his state’s regulations are not preempted by federal law. A decision from the 10th Circuit panel could take months, case attorneys and legal experts say. In that time, the current landscape of the U.S. marijuana industry could see a drastic shift. More states may finalize or decide to pursue legalization measures, and a new presidential administration may shake up the “hands-off” status quo in enforcement. If the appeals court judges shoot down the appeal, Kamin said he believes a push to the U.S. Supreme Court would be unlikely. “That likely will be the end of these legal challenges for the foreseeable future,” he said. year into Colorado recreational marijuana sales. The states argued that they had to shell out more money because of a spike in marijuana arrests, vehicle impoundments, drug seizures and prisoner transfers. In the months that followed, Colorado’s marijuana laws were the target of several other suits, including disputes by county sheriffs, Pueblo County horse ranchers and a hotel owner in the mountain town of Frisco. The cases involving the Pueblo horse ranchers and the county sheriffs advanced to appelate court; the suit by the hotel owner was dismissed after a settlement. It’s high time: If we can legalize marijuana, why can’t we end the misguided War on Drugs? On Election Day, my home state of California voted to legalize recreational cannabis, as did Massachusetts, Maine and Nevada. So the 2016 elections represented a substantial victory for the legalization movement, which has managed to pass referendums in seven states. With 57 percent of the country now supporting marijuana legalization, according to Pew, it seems likely there will be a nationwide victory sometime in the next few years. However, the War on Drugs is far from over. Even if marijuana is legalized throughout the United States, there will still be numerous drugs in this country that remain very much illegal, and Americans will suffer because of this. Drugs like psilocybin mushrooms, LSD and MDMA have all demonstrated great potential when it comes to medical benefits, and shown little potential for harm. 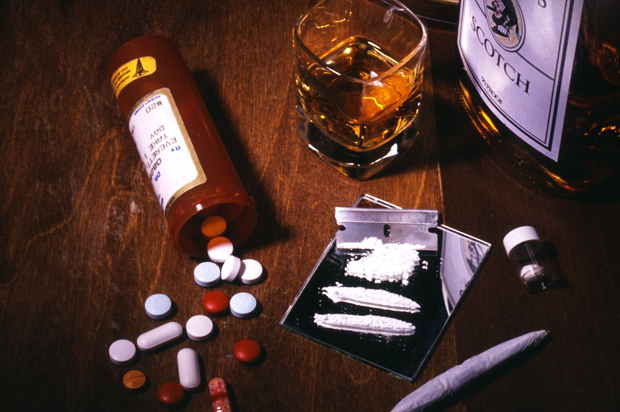 Still, the idea of legalizing those drugs any time soon seems as likely as Donald Trump hosting a quinceañera. Researchers in Switzerland found in 2014 that LSD can be helpful for patients dealing with end-of-life anxiety related to a terminal illness. The same sort of conclusion has been drawn for psilocybin. Psilocybin has also proven useful for treating severe depression. MDMA has shown great promise for treating PTSD, when used alongside psychotherapy. All of the drugs remain illegal in the United States, and there has been little effort to change that. Let’s not stop there, though. The War on Drugs has cost America well over $1 trillion since it began under Richard Nixon. This war has been the main cause of our country’s mass incarceration problem. As it is often noted, we have 5 percent of the world’s population and roughly 25 percent of its prisoners. You cannot have a War on Drugs, you can only have a war on people. As Gore Vidal famously used to say of the War on Terror, you cannot have a war on a noun, as that is like saying you’re at war with dandruff. Too many can’t get jobs because of criminal records or lose decades of their lives over small offenses. We must legalize all drugs. You cannot regulate a drug that is not legal, and you cannot stop addiction by throwing citizens in cages and putting in no effort to rehabilitate them. I am not arguing for the selling of meth and heroin at your local Target store, but I am arguing for a scenario where you are not put in cuffs for having one of those drugs in your pocket. Portugal decriminalized all drugs nearly decades ago, and the country has not spiraled into hellfire and cannibalism. In fact, drug use decreased, drug-related deaths went down and the instances of HIV infections decreased severely. Of course, the country also initiated harm-reduction programs and invested in reducing addiction, but it appears decriminalizing the drugs didn’t turn every corner into a wanton cocaine party. Perhaps we could learn from this example. Thanks to abuse of prescription painkillers, this country faces a widespread opioid crisis — and all those drugs are legal. While we divvied out legal pills that people didn’t really need to fill the pockets of greedheads, as Hunter S. Thompson called them, we locked up people using a different version of the same drugs. Many who got addicted to painkillers while on prescription turned to heroin when they couldn’t be prescribed them any more or couldn’t afford them. The whole system is toxic. I’m calling for a true legalization movement. No longer should lives be ruined because of some minor drug experimentation or because a citizen who needed to make an extra buck sold some substances to a willing buyer. The legalization of marijuana will be a milestone, especially since it’s the most popular drug out there, but we cannot stop there. We should murder the War on Drugs and burn its cadaver. This “war” has been one of the biggest policy failures in American history, and we’ve known this for quite some time. Let’s grow up and move forward. We cannot call ourselves the land of the free when we represent the land of the detained. Rick Steves is the affable host of public television’s best travel series, “Rick Steves’ Europe.” He’s also the author of “Europe Through the Back Door,” a best-selling series of travel guide books. His approachable demeanor makes him one of your grandparent’s favorite television hosts; his boyish good looks and friendliness remove any trepidation imposed by his six-foot frame. What your grandparents might not know about Rick Steves is that he is an unapologetic proponent of the legalization of responsible adult use of marijuana. He sits on the board of directors for the National Organization for the Reform of Marijuana Laws and contributed large amounts of his travel business profits into passing the legalization laws in Washington State and Oregon. It’s his frequent travels to Europe, where many countries like The Netherlands and Portugal have gone beyond what America has tolerated so far in marijuana reform, which leads him to see the two countries America has become with respect to marijuana legalization. One indication of how different the two coasts are is the plethora of business seminars now servicing the fledgling legal marijuana industry in Colorado, Washington, Oregon, and Alaska, as well as the continuing evolution of the quasi-legal medical marijuana industry in California. Steves is one of many speakers presenting at the International Cannabis Business Conference in San Francisco next month, an event that is drawing scientists (Dr. Carl Hart, Dr. Amanda Reiman), politicians (California Republican congressman Dana Rohrabacher), activists (Oregon legalizer Anthony Johnson, California Prop 19’s Dale Sky Jones) and business leaders (Harborside’s Steve DeAngelo, ArcView Group’s Troy Dayton), and others seeking to shape and grow the cannabis industry. Moral Low Ground editor-in-chief Brett Wilkins recently interviewed Dr. Jeffrey Miron about marijuana prohibition, medical marijuana and the market implications of legalization. This article was originally published in the Medical Marijuana Review. Why is a Harvard University economics professor proclaiming “marijuana should be legalized for just about everything”? Does he see prices for medical marijuana sliding down due to increased competition from private companies? We decided to find out by interviewing Dr. Jeffrey Miron, senior lecturer and the Director of Undergraduate Studies in Economics at Harvard University, as well as a Senior Fellow at the Cato Institute, the nation’s leading libertarian think-tank. As an unabashed and outspoken champion of individual liberty, Dr. Miron has stirred the pot by publicly advocating for the legalization of all drugs, a move he says would save tens of billions of dollars annually for federal, state and local governments. We recently spoke with Dr. Miron about the future of medical marijuana, the economics of newly minted canna-businesses and the Obama’s administration approach to the war on drugs. MediRevew: You have written that “just as the harms of alcohol prohibition were worse than the harms of alcohol itself, the adverse effects of marijuana prohibition are worse than the unwanted consequences of marijuana use,” and that legalization is the better policy. What’s the biggest obstacle to legalization? Miron: I think the big obstacle to legalization is the entrenched interests of people whose job it is to continue prohibiting marijuana, whether that’s local vice squads, federal agencies like the Drug Enforcement Administration, the Drug Czar’s office or the White House. And there are some entrenched interests that people don’t always think about. MediReview: Given President Obama’s campaign promise of a hands-off approach to medical marijuana and the Justice Department’s Ogden Memo (directing federal resources only against medical marijuana providers who violate state law), what do you make of the Obama administration’s crackdown on medical marijuana? Miron: I think that the administration, first of all, focuses on the electoral consequences. I don’t think they’ve seen it so far as in their interest to be soft on medical marijuana, or on any drugs. It seemed that way at the beginning, but that changed rather quickly. [The administration] knows that it would give the Republicans an issue if it came down strongly in favor of medical marijuana, or supported the recreational legalizations in Colorado and Washington. And so I think they just don’t want to go there. They want to let public opinion shift so much on its own. They’re sort of going along with public opinion, not trying to make public opinion. MediReview: Public opinion is generally very much in favor of medical marijuana, and according to polls, a majority of Americans now even support recreational legalization. Do you feel that full legalization is inevitable? Miron: Well, I hope that’s right, but I’m not positive that’s right. Pendulums can swing one way, and then sometimes the other way. There are certainly examples where public opinion has gone in one direction and then the other on lots of public policy issues, including drugs. So I don’t think we should assume it’s inevitable. I think it’s plausible that marijuana will continue to move in the direction of medicalization and legalization. But if you’re sitting in Washington and you have the White House drug czar’s office right down the hall from you, and you have the DEA right there, and you have some Congressmen who are still screaming for prohibition, I think it’s pretty hard. And the federal government can interfere quite a bit with the decisions by states to try to medicalize and legalize. The other reason why I don’t think we should assume [legalization] is inevitable is that very few major party politicians, on both sides of the aisle, are totally comfortable with the idea of letting states do what they want. The existing major parties don’t want to let states deviate from federal policy. Any federal politician who endorses letting states deviate is in trouble. MediReview: If legalization does occur, do you foresee Big Pharma cornering the market on medical marijuana in the same way Big Agriculture dominates farming? Miron: I’m not sure I would use the word ‘cornered.’ I think that in a fully legal market, we would likely see a substantial share of [marijuana] that was produced and sold by a relatively small number of companies, as we do with cars or beer or tobacco. But as long as the regulation of that industry is moderate at most, there will still be ample room for smaller firms to succeed. We see competition in the beer industry from overseas. We see lots of microbreweries. [But] if you have a lot of regulation, then you’re going to limit the ability of the small producer to survive in the marketplace. An excellent example of that is the tobacco industry. It’s so costly, and there are all sorts of lawsuits and so many restrictions on advertising that it’s very hard for any newcomer to get into the tobacco industry in a profitable way, and so the big companies do rule that industry. But I don’t think we should be that concerned if a lot of the medical marijuana market is taken over by a relatively small number of companies… That’s just the way markets seem to work. And as long as there’s not too much regulation there will still be plenty of competition. MediReview: Is this good for consumers? Do you see market forces and increased competition driving prices down? Miron: I personally don’t think that prices are going to change dramatically. I wouldn’t be shocked if they went down by noticeable amounts, maybe 25 percent, perhaps even 50 percent, but I suspect that they won’t go down much at all. There are two reasons why. One, I don’t think that current marijuana prohibition in the US is actually all that strong. I think that the amount of money that’s being spent trying to raise the price of marijuana relative to the size of the market is pretty miniscule. Therefore, they’re not having much effect in raising the cost. Second, if you look at data and compare [marijuana] prices in the US to places where it’s almost entirely legal… they’re not that different. If you look at places like California where it’s very close to being legalized, prices aren’t that different from other places in the country. So I think that prices may go down, but they’re not going to go down a ton. MediReview: Three years ago, you said that we can’t be sure if marijuana is effective medicine because DEA rules make it virtually impossible to carry out proper scientific trials. Consistent with its Schedule I classification, the federal government continues to emphatically insist marijuana has no accepted medical use. Do you think this is an accurate assessment? Miron: The federal government continues to insist that smoked marijuana has no non-medical benefits, and in particular has no superior benefits compared to synthetic products or derivative products made from marijuana, such as Marinol… There certainly are legitimate studies and accepted evidence that some products like Marinol may be effective. MediReview: You once said that the anecdotal evidence of medical marijuana’s effectiveness was “stunning.” Can you give examples? Miron: Qualitatively, there are people who were resistant to the idea of using medical marijuana, but they were suffering from a serious condition… for which marijuana was widely thought to be useful and efficacious. And finally they were convinced by relatives or friends to try it and they did and then saw dramatic improvement. But unfortunately, those people then became nervous that somehow it was still wrong to use marijuana or they were worried that they were putting their grandchildren in jeopardy by having them score marijuana for them at their local high school, and so they stopped, and when they did, their symptoms got worse again. So is that a perfectly controlled experiment? No. But is it a quasi-controlled experiment? Is that a little bit like an experiment? Yes, because you have a before, during and after. So that’s what I mean by anecdotal evidence, and it’s very suggestive. MediReview: You also once said that the medical marijuana approach to legalization seems “sneaky.” What did you mean by that? Now, I have no objection to recreational use. I think [marijuana] should be legal for absolutely everything… And medicalization certainly has some benefits, because it means more people are able to purchase marijuana without the risk of going to jail, but it also has its unfortunate side effects of looking hypocritical, of looking like not telling the truth.